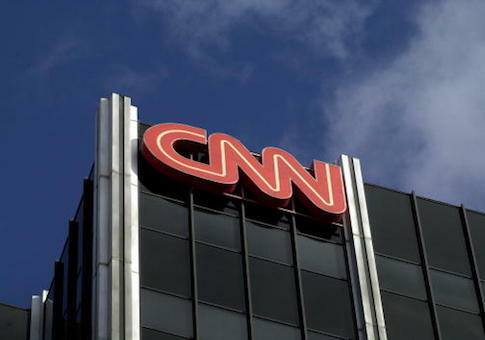 The FBI received a report about an on-air threat against CNN hosts Brian Stelter and Don Lemon last week after a C-SPAN caller said he was "going to shoot them." C-SPAN reported the threat to the FBI Friday after it occurred that morning on "Washington Journal," according to the network's statement. The caller, identified as "Don from State College, Pennsylvania," said Stelter and Lemon had "called all Trump supporters racists" and started a war. "They don’t even know these Americans out here and they are calling us racists because we voted for Trump?" Don said in his brief call. "Come on. Give me a break. They started the war. I see them, I’m going to shoot them. Bye." C-SPAN said the show’s host did not hear the threat, although the network took action. The caller made the threat during an "open phones" segment and decided to talk about the media. "On Friday, C-SPAN reported the incident and all relevant information to the FBI," the network said in a statement Monday. "Subsequently, C-SPAN cooperated fully with CNN Security officials." Stelter played the call on his show "Reliable Sources" Sunday, denying he and "CNN Tonight" anchor Lemon called all Trump supporters racists and saying CNN has excellent security. He added that journalists have faced more threats "in the Trump era" and quoted the New York Times’ Bret Stephens, who wrote that future deaths of journalists "will be blood on the president’s hands." Trump frequently attacks the press and calls news outlets he dislikes "fake news," and he's called the "fake news" media the "enemy of the people." This entry was posted in Issues and tagged Brian Stelter, CNN, Don Lemon. Bookmark the permalink.